Is the 777X certified yet? After Max scandal, I would be cautious about suggesting 777X replacing anything soon! Your point is not wrong, but maybe not right neither. It is the first major safety flaw on a new Boeing aircraft, the batteries case of the B787 is also something we can discuss. 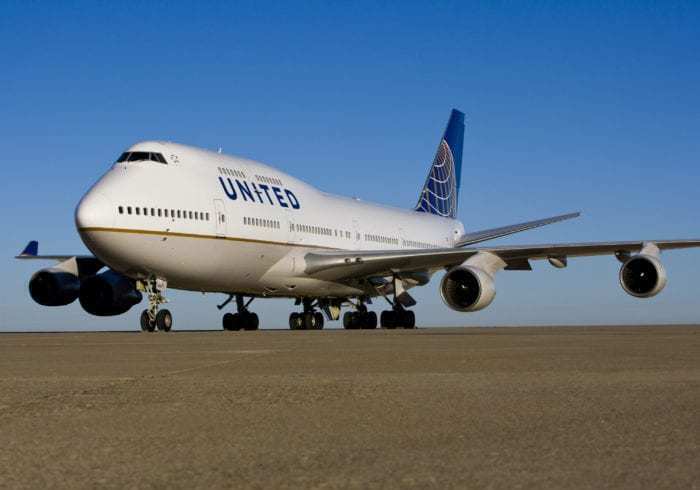 But Boeing also introduced safely the re-engined B747. I think that when we are talking about Embraer, Bombardier, Boeing, Airbus, we can expect relatively high safety and quality, and that one case shouldn’t be a decision making element. Before that, we need to know what are the philosophy changes that Boeing wants to implement in the B777 concept. On the B737 MAX, they went with an “Airbus approach” by limiting the flight envelop due to the position change of the reactor that has the tendency to make the plane pitch up. Boeing isn’t fan of this strategy, and doesn’t have that much experience. So if they go for it, maybe regulators might consider to analyze the impact on the way planes fly. – the comfort and the configuration (1 seat abreast less than B777X) is better and Airbus tends to be quieter. – The mass of the A350 is so much lower, on such a long flight, it must have a huge impact on the fuel consumption… The B777-8 has more cargo capacity, however, on such long flights, like on the A350-900 ULR, it is likely that both aircrafts will be restricted. 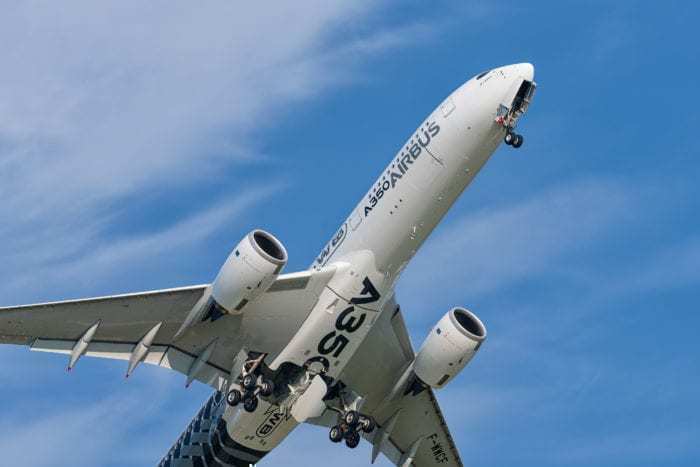 – Last but not least, in 2025, Airbus should come up with an A350-NEO, meaning more fuel efficient than the current generation which is today the most fuel efficient aircraft ever. And we know that fuel efficiency is more important on a very long haul aircraft. With the fuel volumes we are talking about, it can be huge money. So Boeing would need to be quite cheaper, or be so much closer to the expected demand, better adapted than Airbus. As a side note, I believe that regulators have part of the responsibility in the B737 MAX crashes. I don’t see it as a scandal as they do their best to be safe, and they do keep a track of former crashes and test them in similar circumstances, they make sure that the design complies with the history safety improvements. The part that surprises me is that only highly trained pilots seem to test the B737 MAX… And it seems that regular pilots were not informed of all the changes on the aircraft. – did the regulators test pilots who followed the transition training of Boeing from the B737 NG to the MAX? If not, how is it possible that a regulator doesn’t test the capacity of the manufacturer to share all the elements to pilots and the crew? – How is it possible that some decision making devices aren’t doubled / tripled today? How comes noone saw this? – Boeing made a bold philosophy change, Boeing pilots are proud to say that they are pilots and that Airbus pilots are “computer operators”. How comes that no-one saw that this should be taught to the pilots transitioning? Regulators have part of their responsibility in this case, especially after the 1st crash but already before. However, I am convinced that this story will be an important lesson for all manufacturers (including Comac and UAC). Make sure to spot all the philosophy changes and share it with pilots. Never have a system deciding something based on one single sensor. Regulators need to analyze the code of the aircraft computer. Comparing numbers between the 777X and the A350 is a bit of apples and oranges. I would think that comparing the 777X with only the A350-1000 would be more legit. The A350-900 is meant more to compete with the 787 family (particularly the -9). The A350-1000 has only 169 orders to date. This gives a much more realistic view of how the 777X is doing. Well… The tendency to do that is because Airbus designed the A350 to go frontal with the B777-200 and the B777-300. But you’re right. The A350-1000 and the B777-8X are on the same market. And the A350-900 and the B787-10 are of comparable size. However, the B787-10 seems to be more adapted as a regional aircraft, and the A350 is a better long haul aircraft. So again, they are not really on the same market and rather complementary. But basically, I see Airbus and Boeing offering families. Airbus believes that some of the A330 operators will go for some increased capacity aircrafts (A350-900) and that the A350-1000 size will be the “best size” to replace the B777-300 as many of those airlines are also small airlines and don’t have the capacity to fill bigger versions. For example, many compare directly the B787 and the A330-NEO. The B787 is the winner for everyone. However, to me the B787 didn’t do as well or Airbus as bad as what is being said…. Since the B787 was launched, Airbus continued to gather loads of orders for the A330 CEO ! We need to account that in the comparison of sales. And we need to include the A350-900 as you said. And what we see, when comparing both manufacturers with the right versions, both are doing pretty well, and the market is much less imbalanced than what is often be told. The B787 is a huge commercial success, but so are Airbus equivalent during that time (more orders than Boeing during the same period). And the A350 being described as a so much better commercial success than the B777X is as you say not the right approach. The B777X gathered more orders than Airbus for the largest twin engine market. Clients are quite in a good position at the moment. Instead of having 2 manufacturers trying to stick to the strategy of the other, both go in different directions. The B737 and A320 have not exactly the same markets. The A320 LR and maybe XLR and the B797 (NMA) are also very different approaches. Coming to the long haul market, Airbus and Boeing are complementary. So depending on the needs they have “optimized” aircrafts. I personally find the actual situation very healthy for the market. Does the 777X change the market? or does the market flex from the demise of the 747/A380s. Answering this notion suggest yes the 777X will change the market beyond 5 years after first delivery. 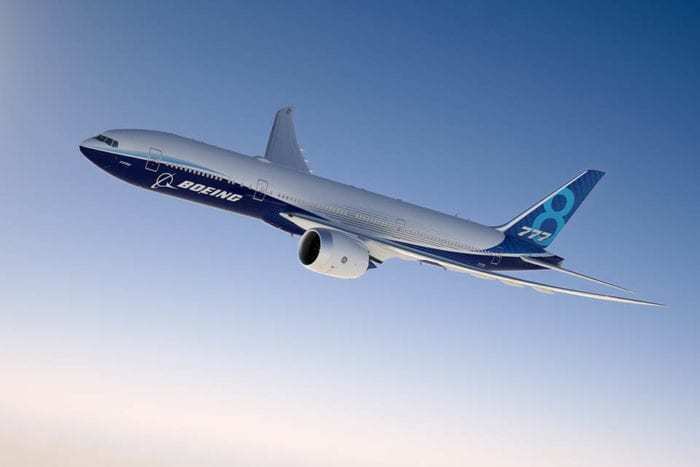 The pure economics that the 777X offers will case its customers and others on the sideline to order -up the 777X aircraft after the market shows how the airplane can make profits arise. The 777X has more flexibility than the current market place. An A380 burns a lot of fuel whether it fills 550 seats or 400. The 777X will be configured into a natural wide body gap, not unlike Boeing’s single-aisle to the dual aisle gap that now exists, and will be filled with a 797 concept model. The 777X is a top end gap filler which the 747 and A380 made an unfilled seat condition for finding customers filling seats. Once demand shapes the market further will come a 777-10X for 450 seats. It will be an incremental growth for big airplanes ignoring the superjumbo quantum leap, marking the prior market period which had the 747s and A-380s populating big airports. Bear this in mind: the 777X is not as big as the A380, hence they are not comparable. But if I am to compare them, then I would say the A380 is superior than the 777X. The super jumbo can be even more superior if the airframe is stretched and the engines are revamped. It will be well replacing up two 2x 777Xs.